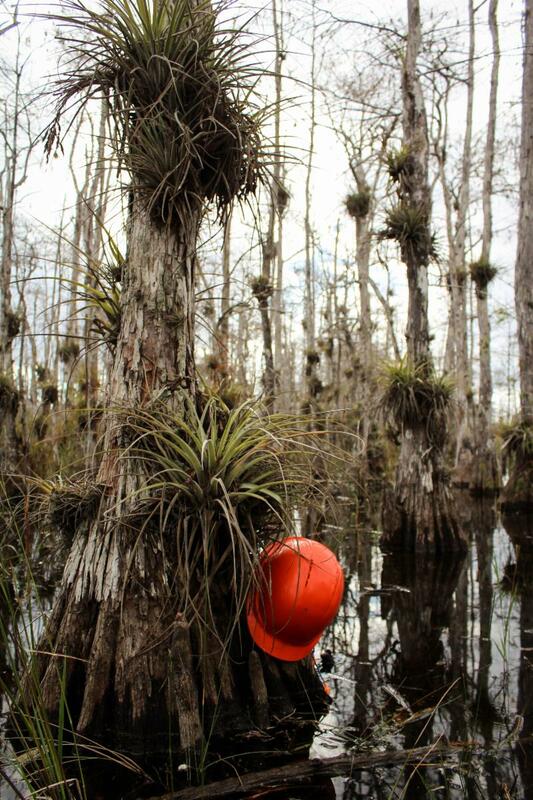 The 2019 Big Cypress Backcountry Volunteer Work Party was a resounding success! With the uncertainty surrounding the federal shutdown, we worked hard to coordinate with local volunteers and National Park Service staff to coordinate the annual week-long trail maintenance event only days after the reopening of the government. We were fortunate to have 9 dedicated volunteers who were able to arrange their travel with such short notice. 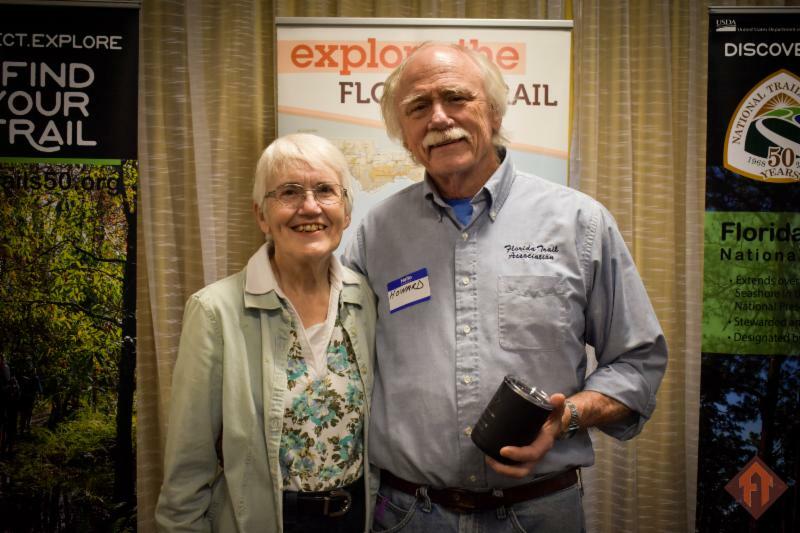 We were also very fortunate to be supported by the Big Cypress Chapter’s Trail Coordinator, Ralph Duharte, who coordinated the donation of a swamp buggy for the week from Captain Steve’s Swamp Buggy Adventures. With our own buggy, Ralph was able to shuttle volunteers to trail sections, increasing our ability to access the more remote areas of the preserve. We set up our base camp just north of 10 Mile Camp to accommodate three full maintenance days. We were able to clear and blaze 10.5 miles of FT between 7 Mile Camp and .5 miles north of 13 Mile Camp. This included a 2-mile stretch south of 13 Mile Camp that had been affected by wildfires last season and was very much in need of re-blazing. Over the course of the week, we cooked delicious meals, shared stories around the campfire, and saw plenty of wildlife including gators, a diamondback rattlesnake, a water moccasin and wading birds. 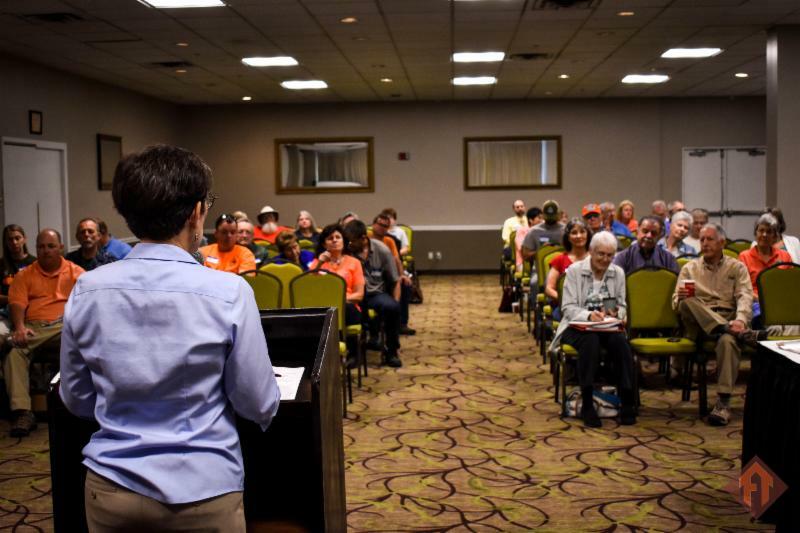 If you’re interested in attending the 2020 VWP, you can fill out an interest form that will be posted this summer on our Volunteer Opportunities page. 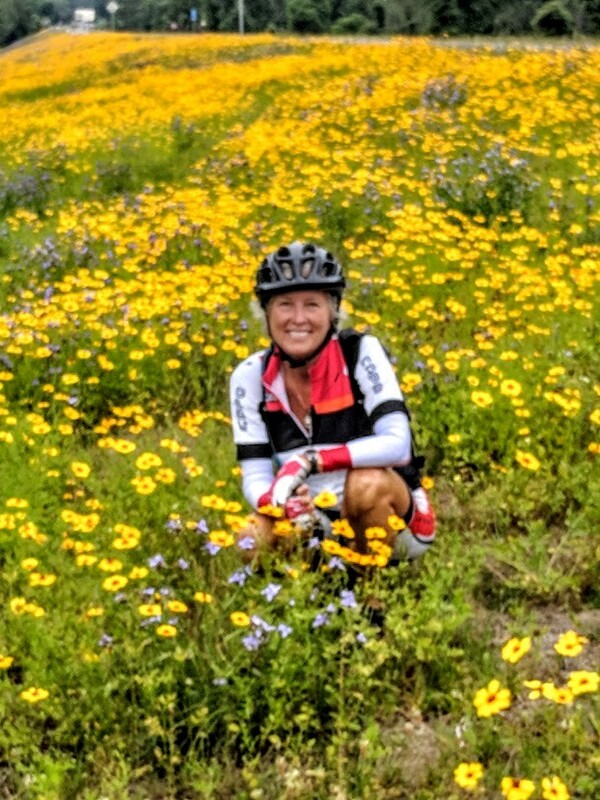 As soon as the recent government shutdown ended, we here in the North FL region hit the trail running, afraid another shutdown would further delay planned trail improvements. Two exciting projects have been in the works in the North region for some time, and we are thrilled to announce their completion! In the Brooksville area on the Western Corridor, several gaps have been closed this trail season, and we are pleased to announce an additional mile of road walk has been eliminated– bringing the total to 3.3 miles of gap closure. 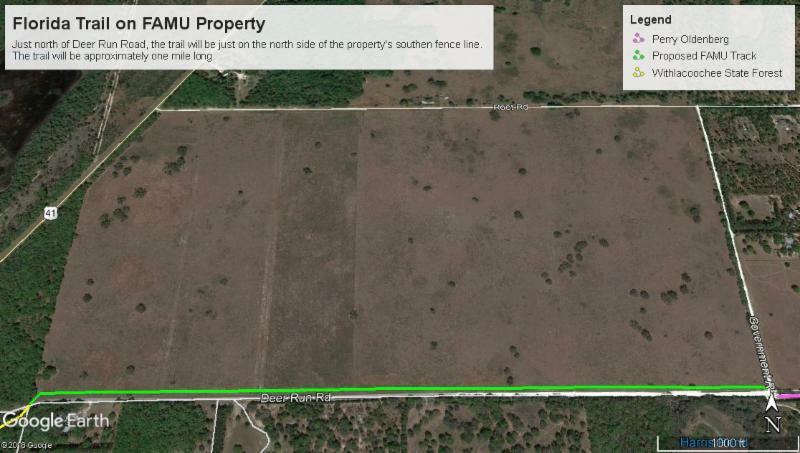 The FTA has partnered with Florida Agricultural and Mechanical University (FAMU) on their large property along Deer Run Rd. This unit is currently used for hay production and was well-suited to host the Florida Trail. While the old route –the road walk– is still visible from the current trail, it is an improvement that brings us one mile closer to completing the trail. The second success story is the completion of a trail relocation that took several years to see through and is a major improvement over the previous route. 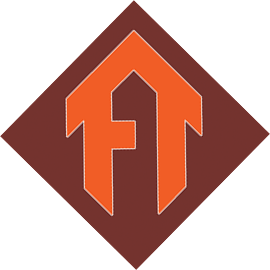 To FT thru-hikers, the Mondex section was a dreaded series of muddy roads, bullet hole filled appliances littering the side of the trail, and faded orange blazes. 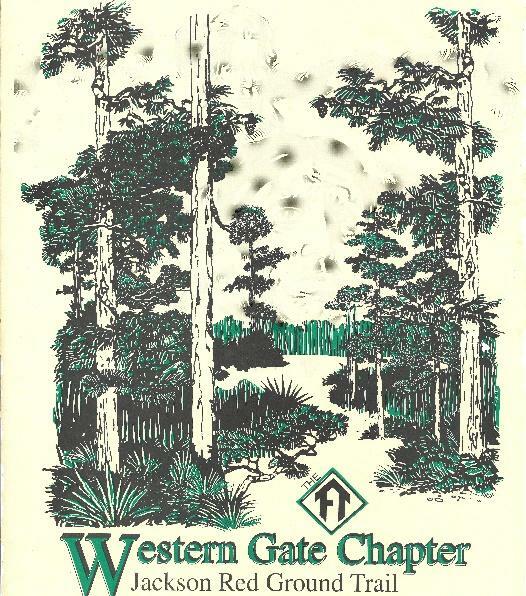 For years, it was considered by many as the worst section of the entire FT and to most, it was just a connection from the Ocala National Forest to Rice Creek Conservation Area. 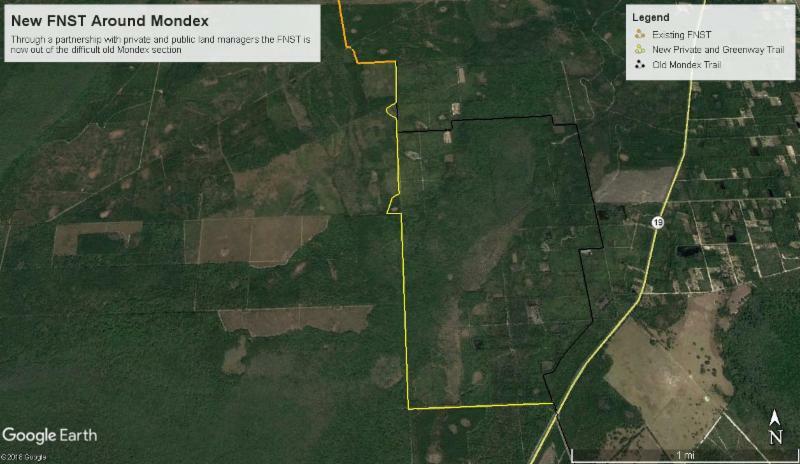 Utilizing a great partnership with a local land owner and our friends over at the Cross Florida Greenway (CFG), the FT is now located on private property and CFG land adjacent to Mondex. This new section of trail is the very last piece of trail to be permanently protected from Clearwater Lake to Carraway Rd. That is 89 miles without a single piece of unprotected trail! The new route is scenic, quiet, clean, direct, and while still mainly serving as a connector between more iconic sections of the FT, it is a huge improvement that we are very proud of. The new route shortens the FT by .75 miles. and terrific news for Land & Water Conservation! With our current political environment being as contentious as it currently is, it’s hard to find many issues that are truly bipartisan. Thankfully, our National Trails System is one such issue. Now in its 22nd year, Hike the Hill is a joint effort between the Partnership for the National Trail System and the American Hiking Society (the FTA is a member of both organizations) aimed at increasing congressional and federal agency leader awareness of funding and other needs that sustain the National Trails System. 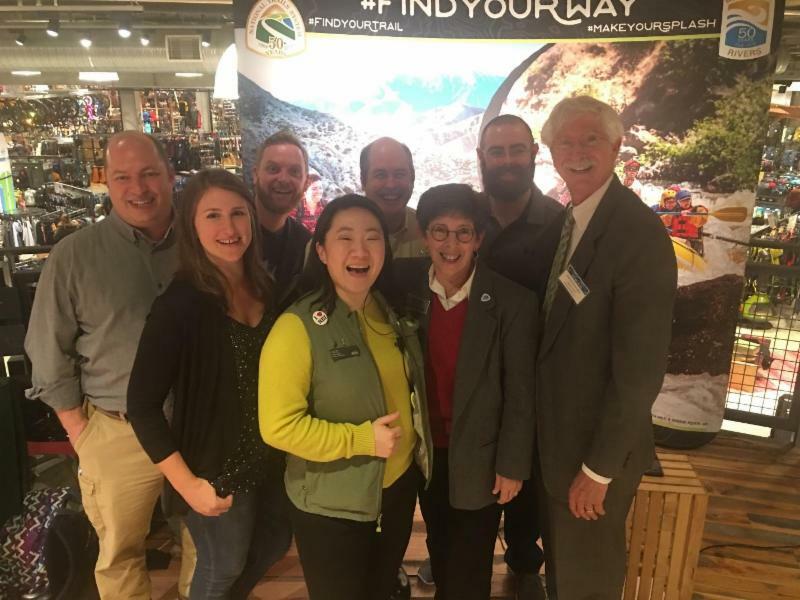 Each February, trail partners and organizations from across the nation head to Washington, D.C. to discuss current initiatives, legislation, and goals for the future with federal partners, congressmen or their staff, and fellow trail organizations. 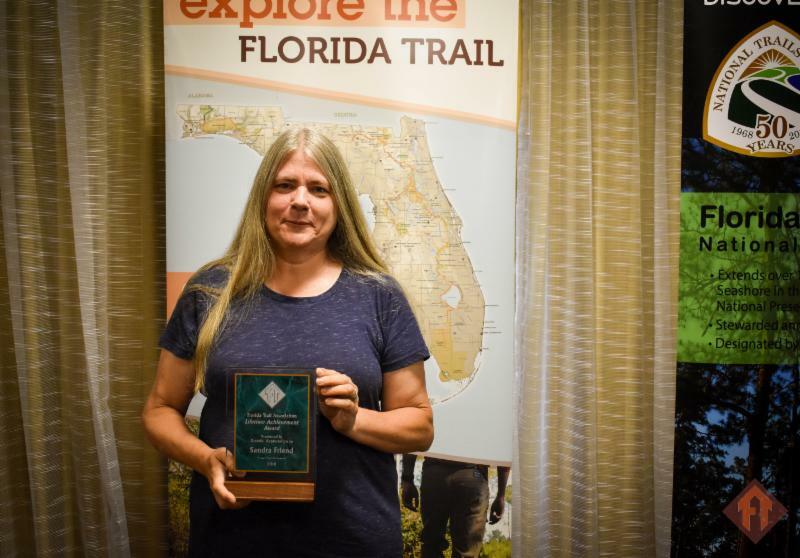 Confident in our cause, the Florida Trail Association’s advocacy team – comprised this year of President Leslie Wheeler, VP of Trails David Waldrop, and FT Program staff Kelly Wiener and Alex Stigliano – traveled up to Washington, D.C. to lobby for the Florida Trail. It was a success! Not only were we able to attend/lead 21 meetings, we were also in town on Tuesday, 2/12/19 when the US Senate overwhelmingly passed (with a vote of 98-8) S.47, a sweeping conservation bill that would designate more than 1.3 million acres of new wilderness, create 4 national monuments, and would permanently re-authorize the Land and Water Conservation Fund. 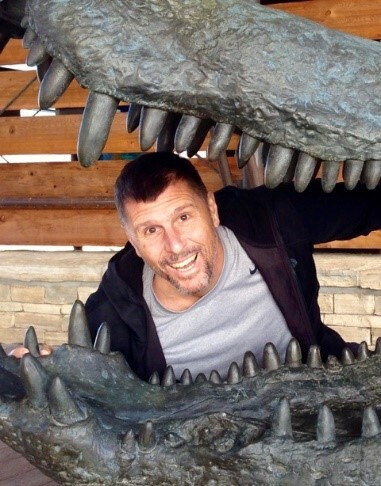 At the time of this newsletter, the John D. Dingell, Jr. Conservation, Management and Recreation Act has also passed the House, and is expected to be signed into law by the President in early March. While this package of legislation is not without its flaws, the consensus is that, on balance, it represents a conservation win that the readers of this newsletter should be encouraged by. Finally, the FTA owes a special thanks to members of our volunteer Board of Directors (past and current) who travel up to DC each year (at their own expense) to participate in this meaningful work. Thank you! 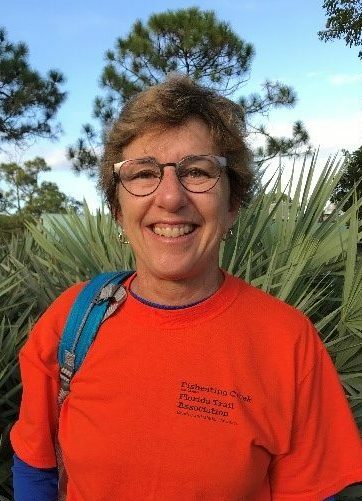 As a member of the Florida Trail Association, you have the privilege of casting your vote in the 2019 Board of Directors election. 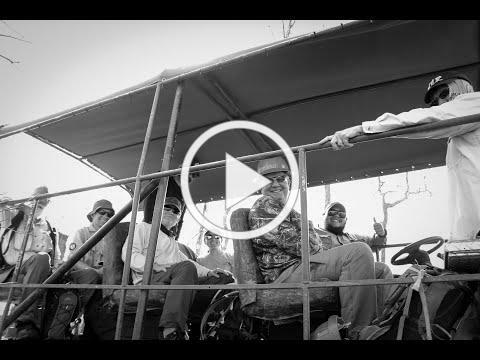 You have a voice, and we want to hear it! There are a total of 15 Directors on the Board. 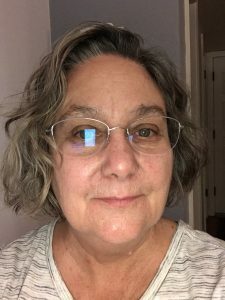 Leslie Wheeler and Megan Eidel are resigning. 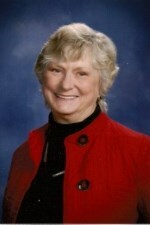 Pam Hale, Bill Turman, Greg Knecht, Ralph Hancock will continue to complete their term, and are not up for re-election. Please vote for the President, VP Trails, VP Governance and Administration, Secretary, VP Outreach and Development, and up to 3 Directors-at-Large. This slate of candidates has been vetted by the Nominating Committee. 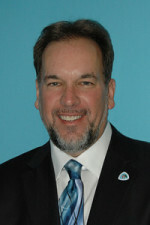 The VP of Membership will be filled at a later date by the Board per the Bylaws. Several Ways to Cast Your Vote! By Mail: In the Winter Footprint, you can find a paper copy of the ballot that can be mailed. Mail in ballots must be postmarked by March 25, 2019. Online voting will close March 25, 2019 and the new board will be announced at the April 6, 2019 Annual Meeting. *You must be an FTA member in order to vote. Note: only one vote per membership. If you chose to submit your ballot by mail, you will not need to vote electronically. 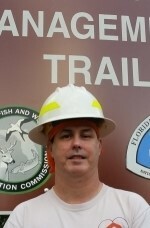 The Florida Trail Association Nominating Committee has verified all applicant qualifications. To learn more about 2019 candidates, please read their bios HERE. 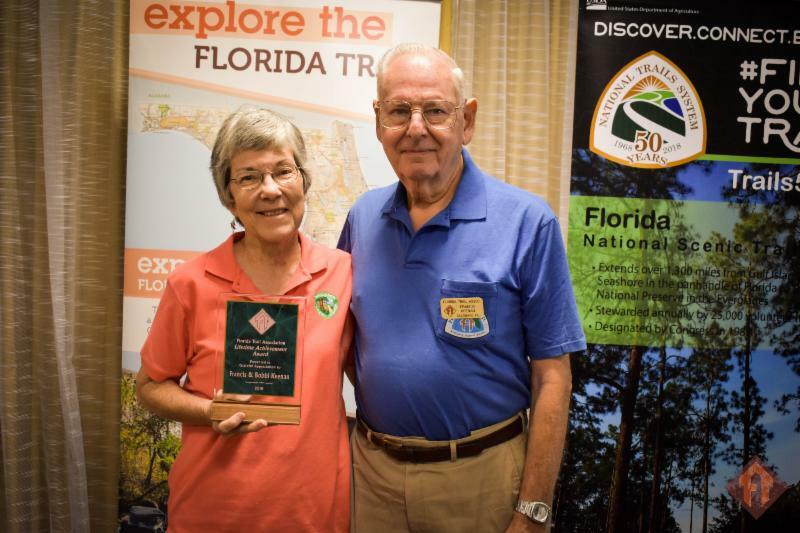 The Florida Trail Association’s annual awards serve as a way to recognize members, volunteers, partners, and supporters for their incredible contributions to the organization and the trail. Every year, we ask our partners, members and volunteers to nominate people in the community for their exceptional contributions. 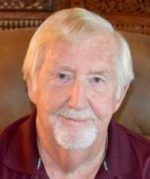 Please take part in helping us recognize those who have played a vital role in supporting and furthering the mission of the FTA. CLICK HERE to submit an Awards Nomination Form and to find out more information about the Award Categories. 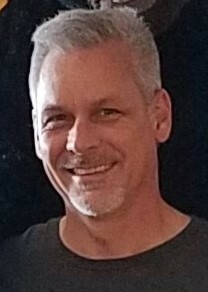 Volunteer Awards Nominations are due by 5PM EST on Friday, March 22, 2019. 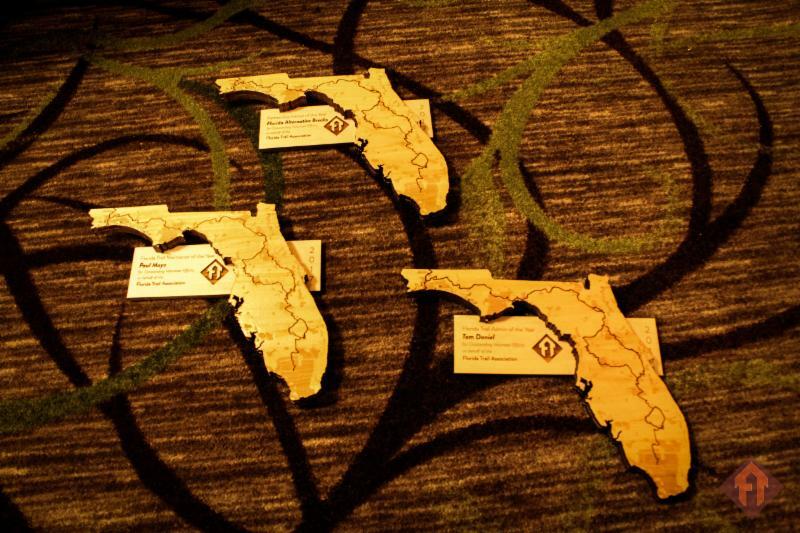 Awards will be presented at the FTA Annual Meeting on Saturday, April 6, 2019 in Gainesville, FL. 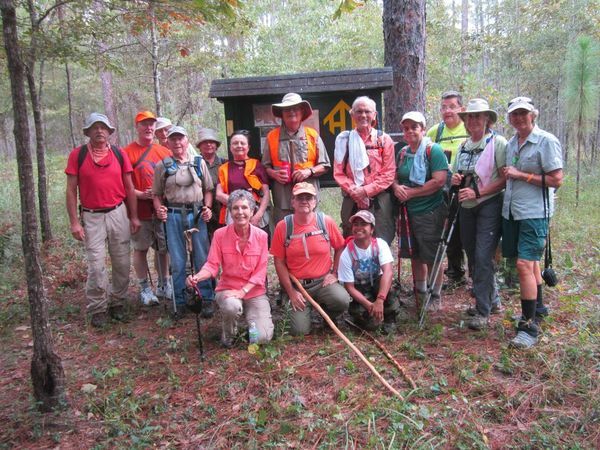 The Panhandle Trace Hike, sponsored annually by the Western Gate Chapter, has a new format this year. 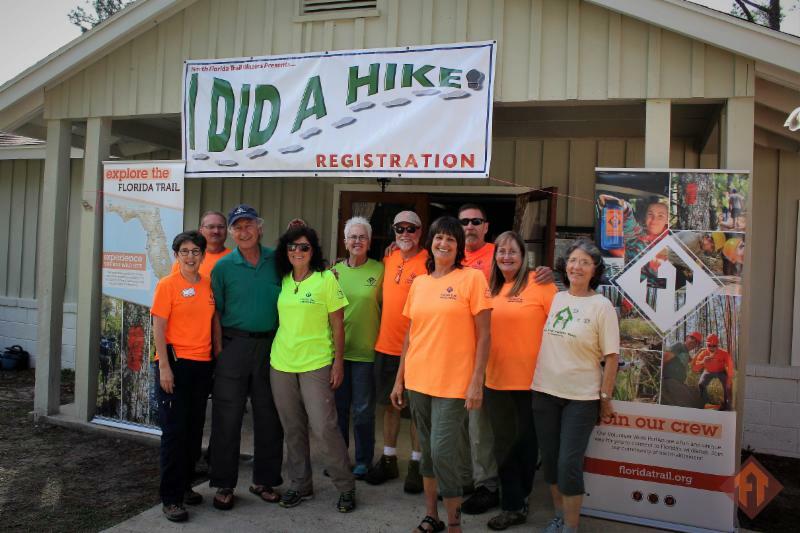 Two 3-day weekend hiking events will be offered to introduce the public and all Florida Trail enthusiasts to the northern sections of the Florida National Scenic Trail. 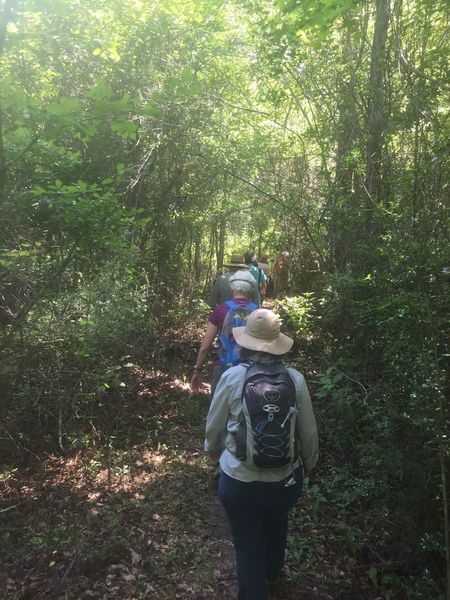 Come join the fun and explore either of the trail sections along the Yellow River, including the Yellow River Ravines Trail which provides a true wilderness hiking experience OR the sections which extend the FT to the north FL/AL line, winding through hilly longleaf pine habitats with lakes, beautiful streams and rivers. Daily guided hikes ranging in length from 7 to 11 miles will be offered with support available to shorten hikes if desired. For those who might like to hike more of the FT during the weekdays between the two weekends, Western Gate members can provide support in accessing trailheads as well as with pick-up and/or drop-off. 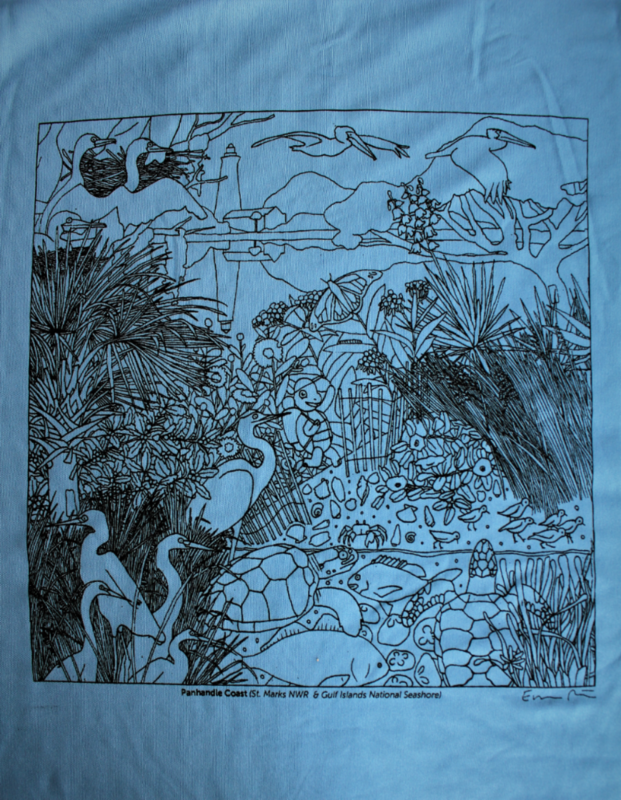 We’re excited to share the FTA Store has new, limited edition shirts, available while supplies last! 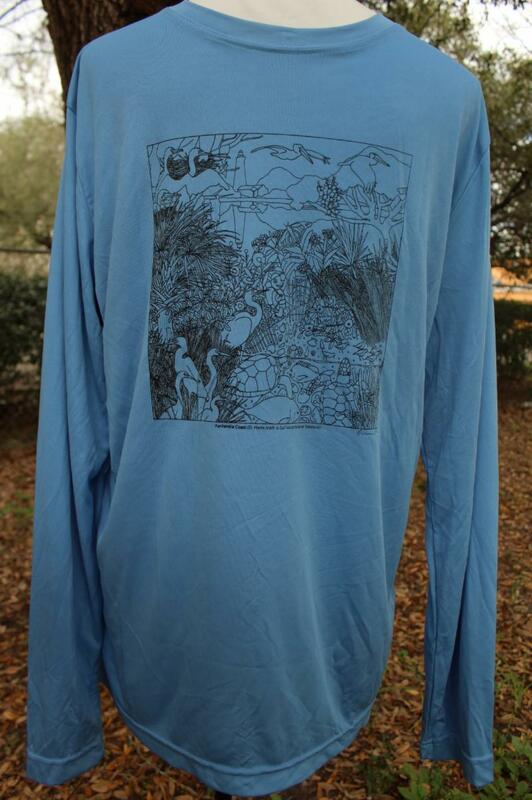 These moisture-wicking, lightweight shirts are made of 100% Polyester. 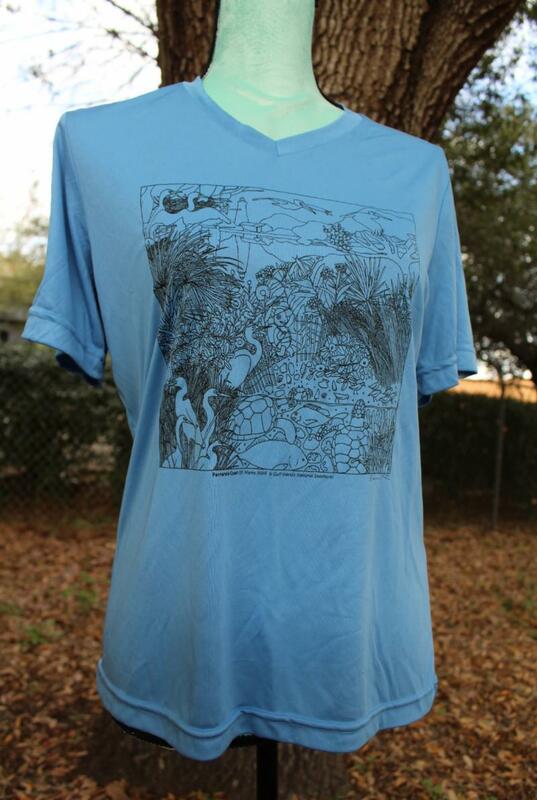 The shirt design features the unique ecosystems of St. Marks National Wildlife Refuge & Gulf Islands National Seashore, two treasured sections of the Florida Trail in the Panhandle. 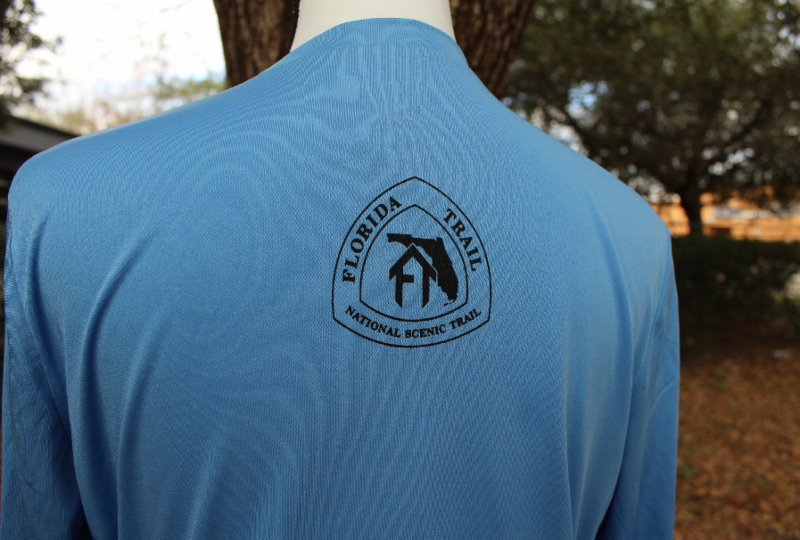 The back of the shirts displays the FNST shield. 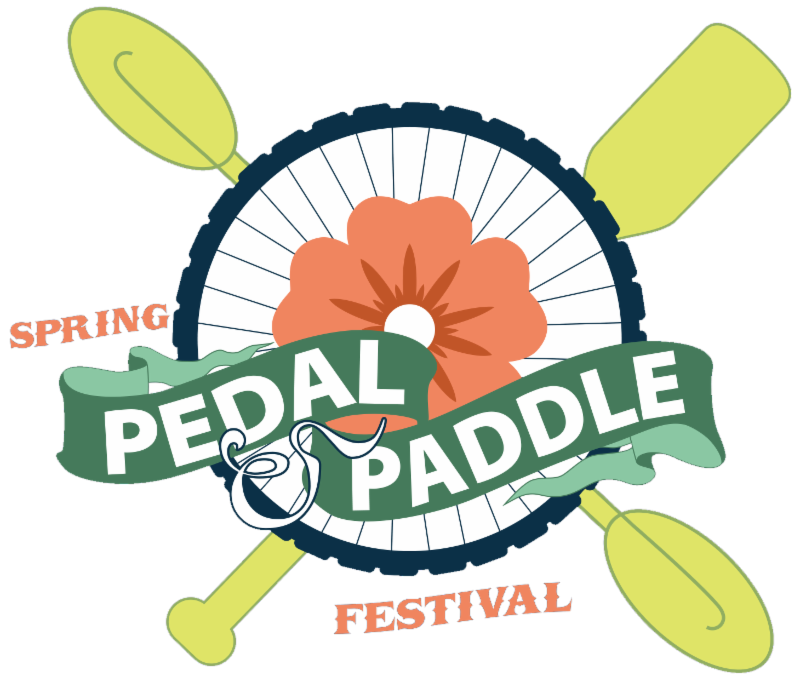 Pedal, Paddle and Play with SBA! Some SBA and FTA trails are shared by hikers and mountain bikers. 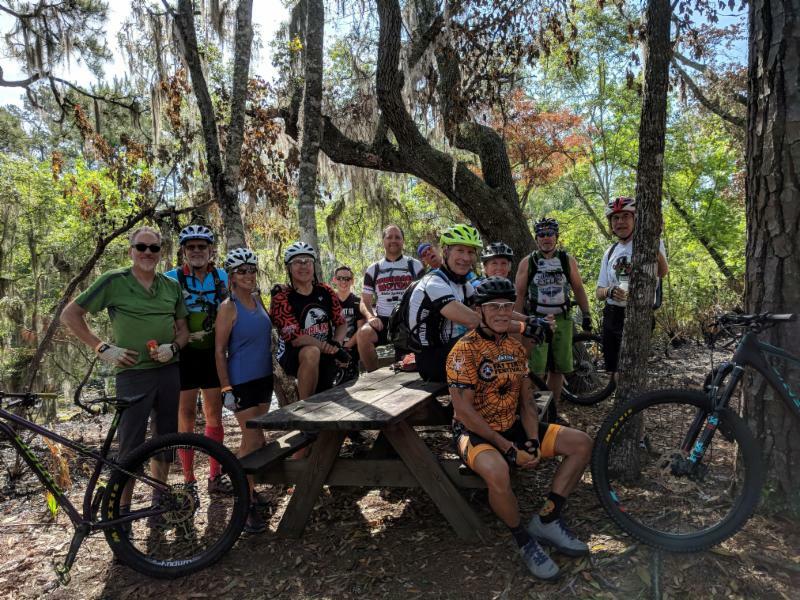 A few years ago, the Town of White Springs, working with the FTA and SBA, created a reroute that takes FT hikers on SBA’s Bridge to Bridge mountain bike trail, along the Suwannee River and through the historic town of White Springs. In return, the FTA turned over to SBA a trail in Gar Pond. 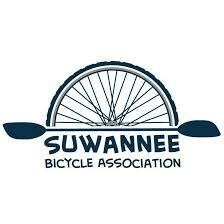 Another current FTA initiative, supported by SBA, is reopening a section of the Big Oak tract, across from the Suwannee River State Park, for hiking and cycling. 2-3 days of paddling, cycling and more. Camping and meals included. More info here.